Things have been a bit crazier than the “normal” crazy here at the Graves household. 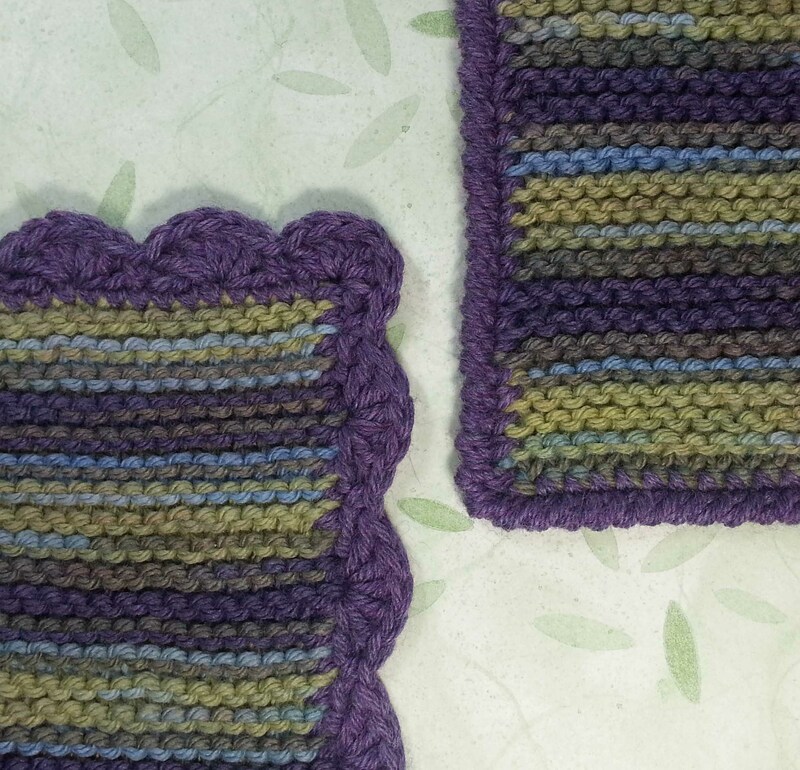 This past weekend I taught 2 classes at the Longmont Yarn Shoppe. 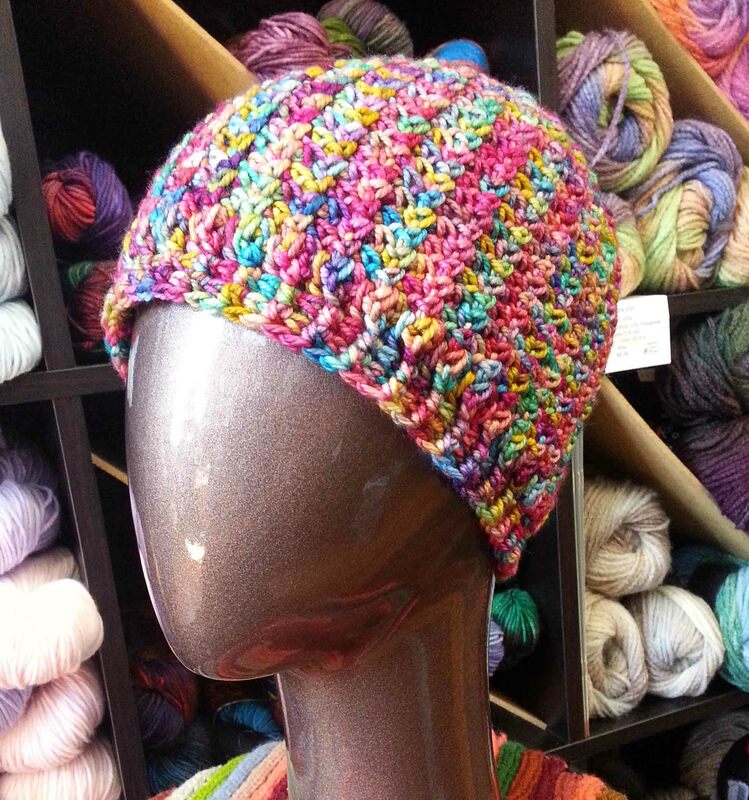 My “Mountain Top Beanie” class on Saturday and my “Pretty Crochet Edges for Knitters” class on Sunday. It was great fun, but ate up a lot of time. Then Sunday was a super late night for me as I madly sewed and glued to finish Halloween costumes for my boys. By the morning of Halloween day I was pretty wiped out. I slept in and Himself took the boys to school. Unfortunately that meant I didn’t get any good photos of the boys in their costumes. All the Halloween costume and décor stuff is packed away until next year now. To keep the week even more interesting, my oldest wasn’t feeling great on Monday and by Tuesday morning he was running a fever and complaining of a sore throat. He ended up staying home for the day from school. Later that day I went down to pick up my youngest from school and get my hair cut. In between everything I was writing proposals for new classes for the Longmont Yarn Shoppe’s Winter class offerings. Finished up with those about 8:30 p.m. then started working on editing Part 2 of the Fans & Lace Afghan Square video until 1 a.m.
Got up to see the boys off to school at 7 a.m. and then went back to sleep for awhile. When I woke up I had a text message from my husband that he was picking our oldest up from school. The nurse was sending him home because he was running a fever again. This has all meant that my grand plan for having the video finished and up with a blog post today has been de-railed. It is the glamorous life of owning your own small (some might say “micro”) business. When you play all roles the juggling can get interesting. To add to the fun I am beginning to feel like the bug my kid has is trying to catch up with me. Dosing myself with herbs and planning an early bed-time tonight to ward it off. Meanwhile I am getting a bit of crocheting time in, as that is something I can do while running boys to-and-fro and when I’m feeling a bit crummy. These 4 balls of Berroco “Vintage” are going to be another PWT Shawl when I finish crocheting with them. I’m deciding as I work if I will use both the balls of the dark blue or just one. 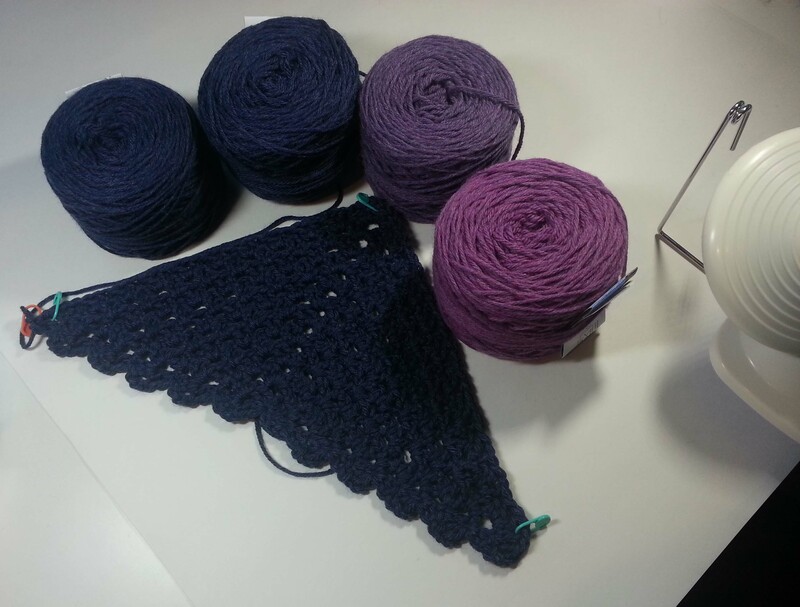 I will have the video of the Fans & Lace Square – Part 2 completed soon. Hopefully no one is too stymied by the last 6 rounds for the square. I hope you are all staying healthy and having some fun with yarn this week. Be sure to stop by Friday as I’ll have another stop for the book blog tour to tell you about. People are sick around here too. It seems too early to be starting flu season already! 😦 Take care of yourself.